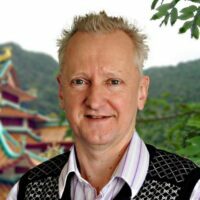 Hamish Reid is a lecturer of acupuncture at Endeavour College in Melbourne and has presented numerous workshops to the profession throughout Australia and New Zealand. Ken Morrison of Radio Kidnappers – The Voice of Hawkes Bay and Heiko Lade of The Acupuncture Clinic in New Zealand interview Hamish Reid. Hamish is a well known registered acupuncturist from Melbourne specializing in the treatment of musculo-skeletal disorders. Many people have heard that acupuncture is useful for back pain but are unaware that it can be used for many types of neck problems. 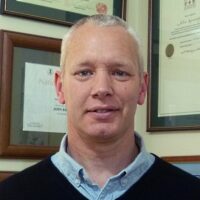 Listen to Hamish tell us about how acupuncture treatment can be used for neck disc herniation, wry neck, neck problems causing numbness in the arm and rheumatism of the neck. Come and join us on Tuesday 2nd April 2019 at 11:00am on 104.7 FM or 1431 AM. The show can also be live streamed by going to Radio Kidnappers.